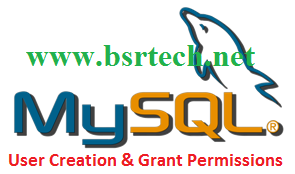 MySQL is most commonly used for Web applications and for embedded applications and has become a popular alternative to proprietary database systems because of its speed and reliability. MySQL can run on LINUX, Windows and Mac OS. By default remote access to the MySQL database server is disabled for security reasons. However, some time you need to provide remote access to database server from home or a web server. Step3: I allow the MySQL user “mahesh” to access all MySQL databases from any remote host. Step3.1: If you want to access single database to user "mahesh" from any remote host. Viewing a full list of MySQL users, including the host they’re associated with following command.